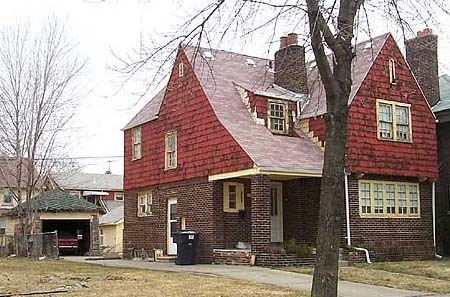 Richard 'Popcorn' Wylie left this home a long time ago but when I spoke to him on the last day of April 2001, he yearned for the days when 3044 Taylor was his musical H.Q. Believe it or not, in the early days, he had a piano in the garage on the left which he used on practice sessions. Those sessions would involve amongst others, James Jamerson, Mike Terry, Norman Whitfield and Mary Wells. Later they would graduate to the basement of 3044 Taylor and Popcorn recalls fondly the moment when they tried to get the piano downstairs and got stuck. Popcorn came from a musical family and by the time he was at North Western High School he had formed his own band. While performing at the Twenty Grand on 14th, he was spotted by a couple of Motown engineers who recommended him to Berry Gordy. Popcorn then played on two of Motown's most significant releases in 'Please Mr Postman' and 'Shop around' before splitting with the company in 1962. By the mid-sixties he had become his own man, always demanding payment up front, and successfully launching two record labels in Pameline (named after his three daughters) and Soulhawk. Popcorn's A La King Music Publishing Company was named after his mother Althea King. Later he would open premises at 8 Mile and Schaeffer.